As you get ready to order a new steel building, consider the following “Do’s” and “Don’ts” throughout each phase of the steel building process. 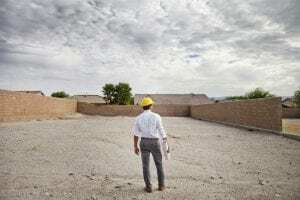 While steel buildings are known for not needing nearly as much foundation work as alternative building methods, there are still many details that need be considered before making the foundation for your structure. One of the most important tasks you should have completed are soil tests. Ideally, you want to build on virgin soil. An engineer can perform boring tests on your ground to ensure that the land is suitable to support a steel structure. For instance, if your land is filled in, you want to make sure that is compacted properly to avoid issues inhibiting you from building on that property. Many companies will try to pressure you into buying a building that is “on sale,” “clearance,” or some sort of special “deal.” A frequent story they try and tell you is that another customer recently cancelled their order, and that you have a steel building that they are selling at a discount that you should pounce on now. Here’s an industry secret: that salesman is selling you a lie. That cancelled building does not exist, they are selling you a story, not a building. Don’t buy the once-in-a-lifetime opportunity. The best steel companies will sell you a quality building at a fair price, so look for a quality company, not a cheap price. It is important to maintain consistent communication with local building officials regarding zoning and building permits. Ask them about their procedures to have these required permits issued to you, including how long it might take. Poor communication could lead to delays or complications in the steel building process. An unfortunate mistake that many buyers make is to buy a steel building from someone without a reputable history. Buying from anyone other than steel building company with references of successful projects similar to yours could jeopardize the quality of the building you might receive, as well as the expert advice and counsel a specialized steel building company can provide. After you speak to a steel building company, you should do your own independent research on the company. If you do a few simple internet searches involving the company’s name and other associated legal terms such as “lawsuit,” negative details about that company might appear and provide a clearer idea of whether you can trust them with your project. 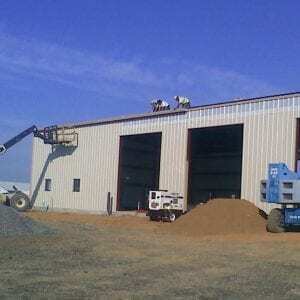 Erecting steel buildings is a specialized task with its own set of best practices. If the building crew is inexperienced, they can be making mistakes that will need expensive repairs and not even realize that they are doing it at the time. You should always hire an erection crew that is certified by the manufacturing factory, is OHSA certified, and is properly insured. Along with references of their work, these qualifications will help ensure that your erection goes as smooth as possible. Also, be careful if your designer wants to put the erection crew that they referred on a separate contract from the rest of their project. If they aren’t willing to take accountability for the crew they referred to you, can you really trust their referral? You need to be incredibly careful before signing a contract with a steel building company. Make sure that the items and responsibilities discussed are all explicitly included in the contract. If it is not spelled out in the contract, the company will not have to do it, and could charge you for the additional services later on in the project.